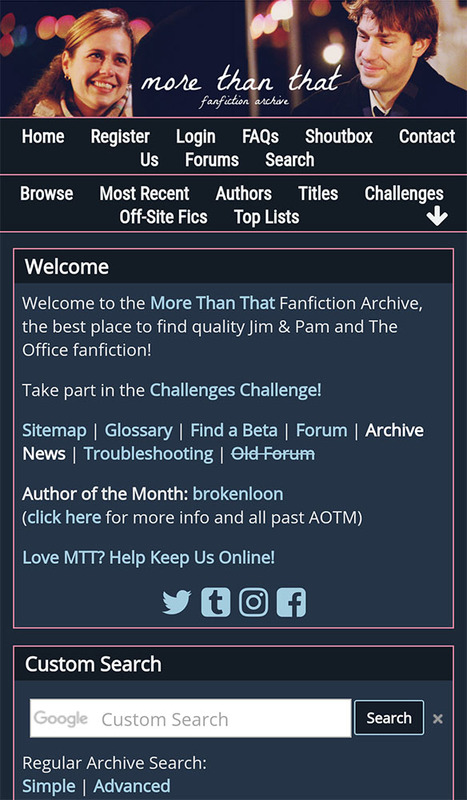 One fun feature of the archive is readers are able to select different themes, or skins, to customize their reading experience! 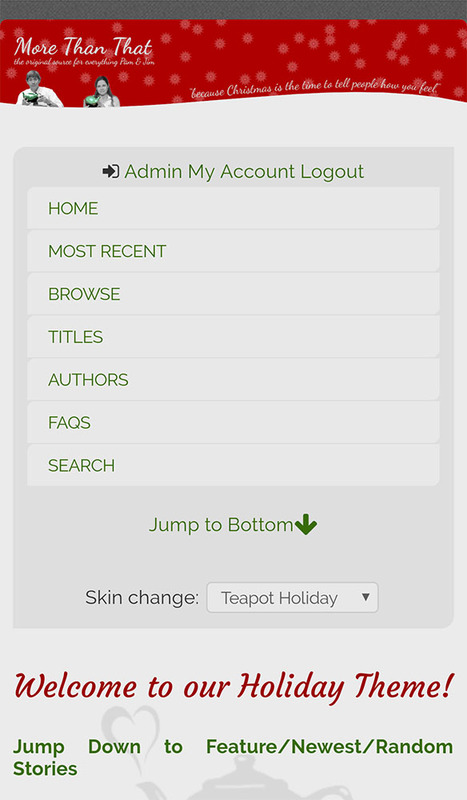 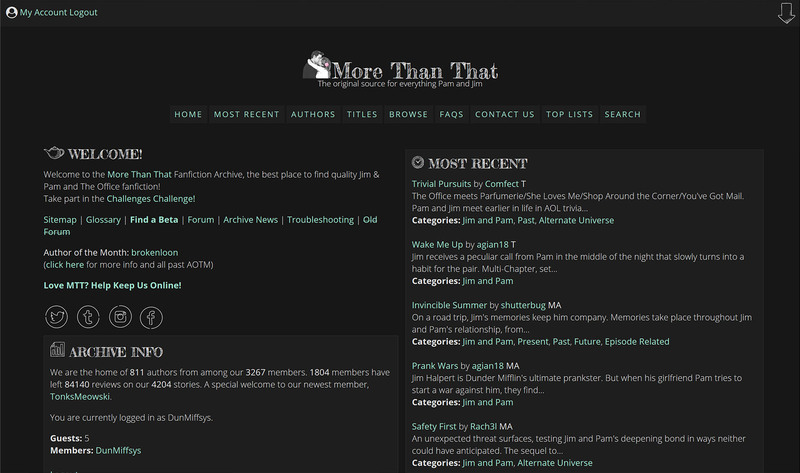 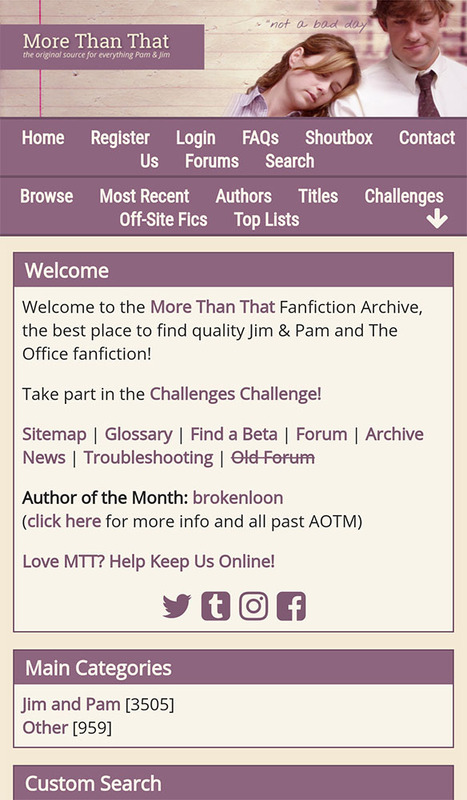 You can find the theme changer drop-down menu in the sidebar area of the homepage and at the bottom on every page. 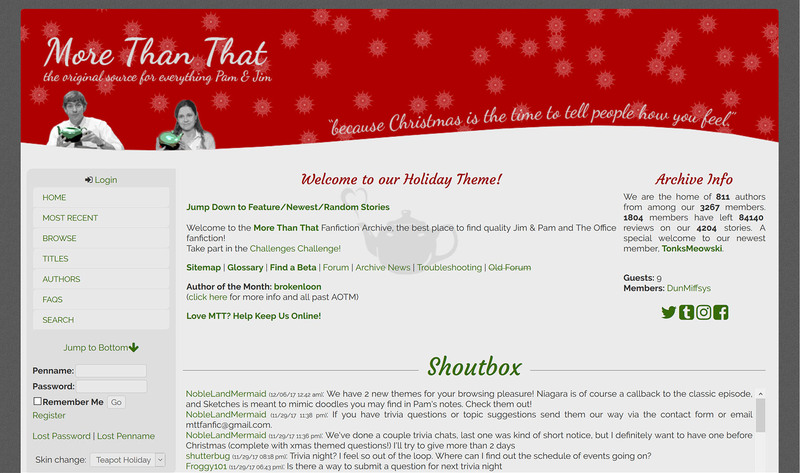 We currently have 8 available themes to chose from and most are mobile friendly! 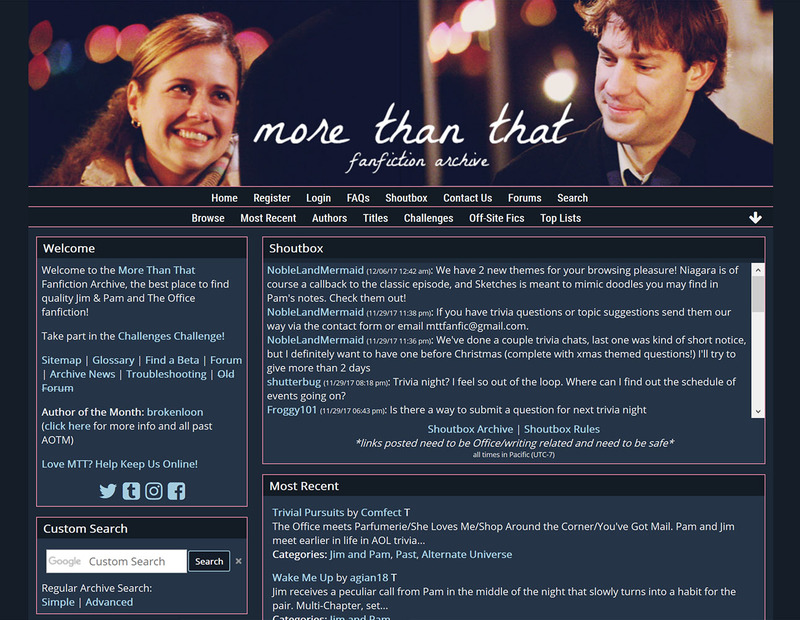 header by Ladama, screens from 2.11 "Booze Cruise"
header by sicokitty, screens from 4.01 "Fun Run"
header by Ladama, screens from 6.04/05 "Niagara"
header by Ladama, screens from 1.02 "Diversity Day"
header by Ladama, screens from 9.20 "Paper Airplane"
header picture from 9.23 "Finale"
note for iOS users: the dropdown menus in this theme are a little hard to read on iOS, we are working in to remedies for this issue. 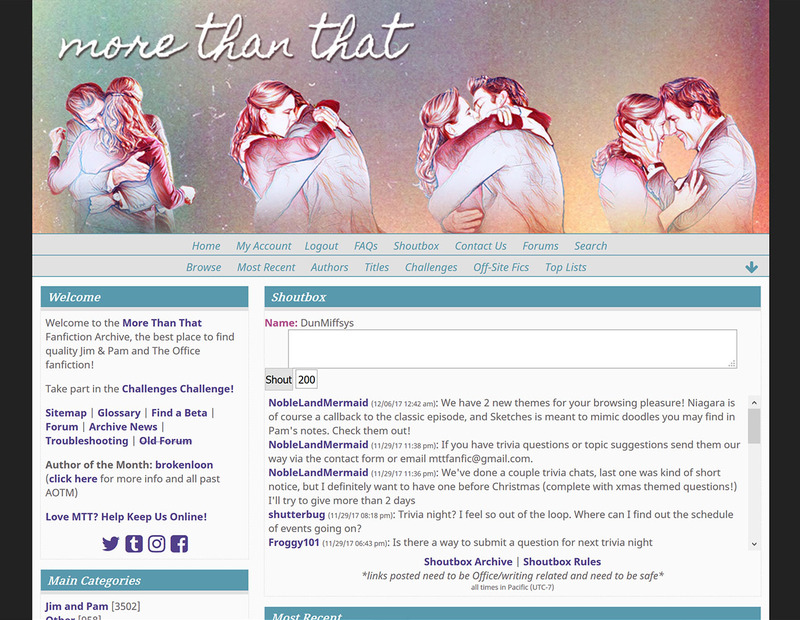 header by Ladama, screens from 2.10 "Christmas Party"
header by sicokitty, screens from 2.19 "Michael's Birthday"